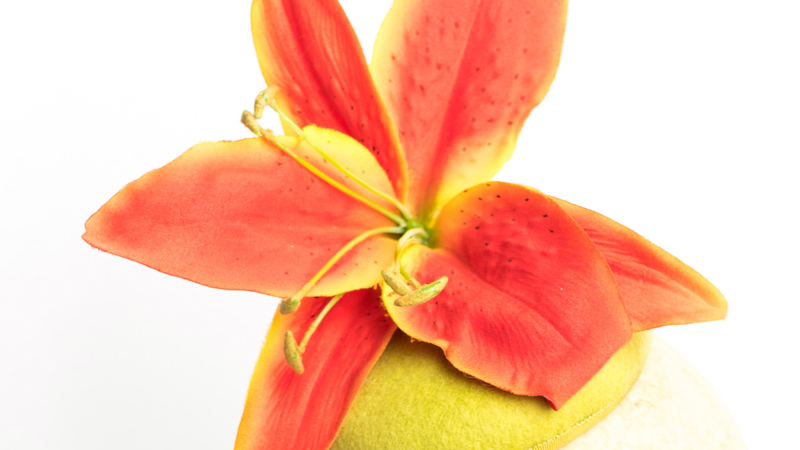 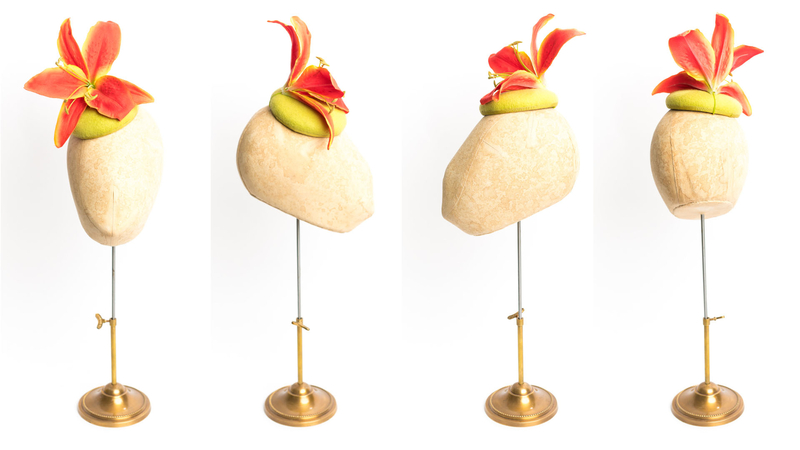 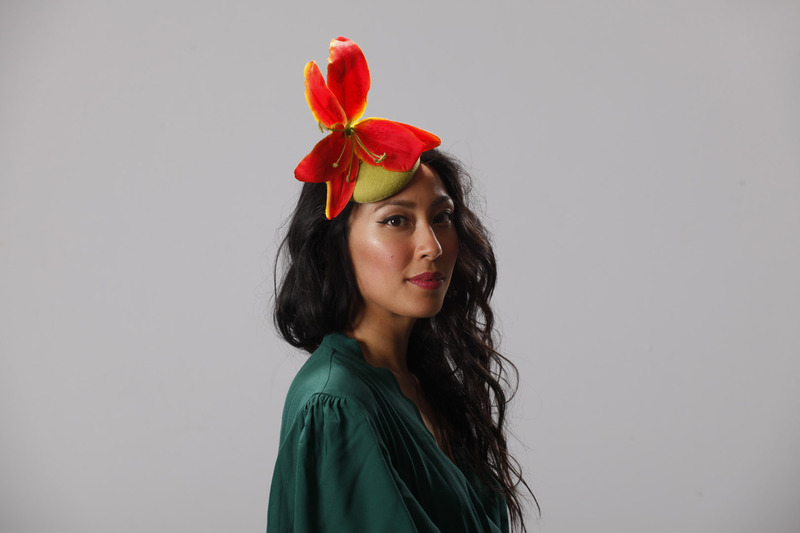 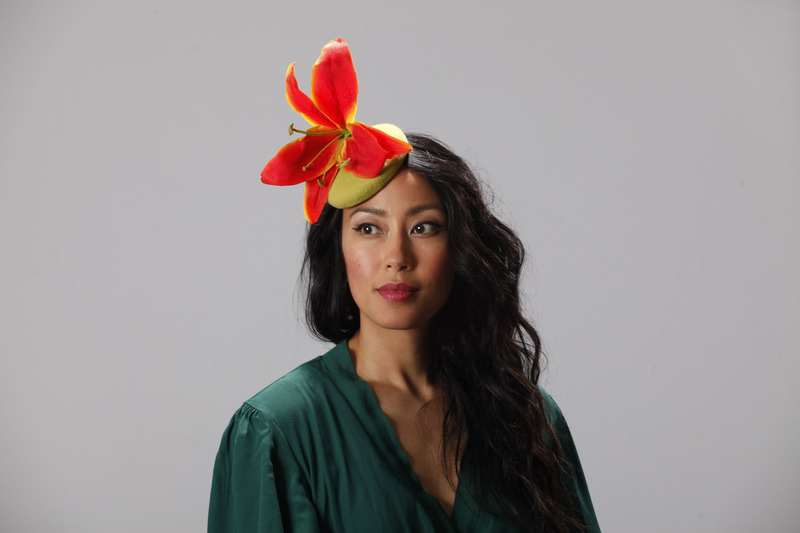 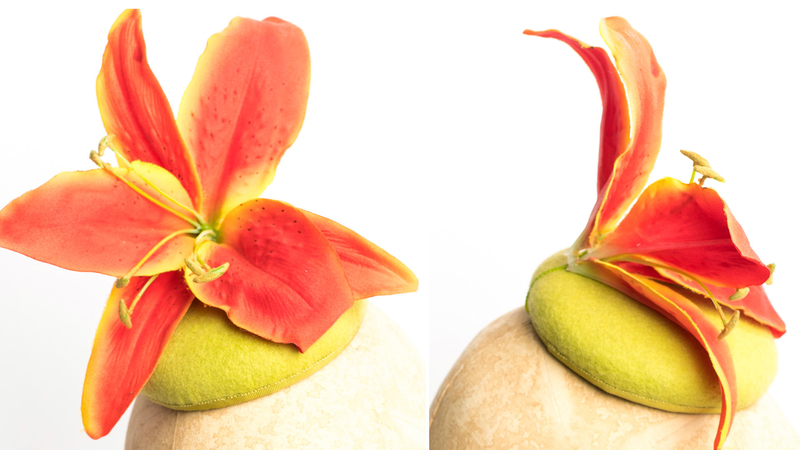 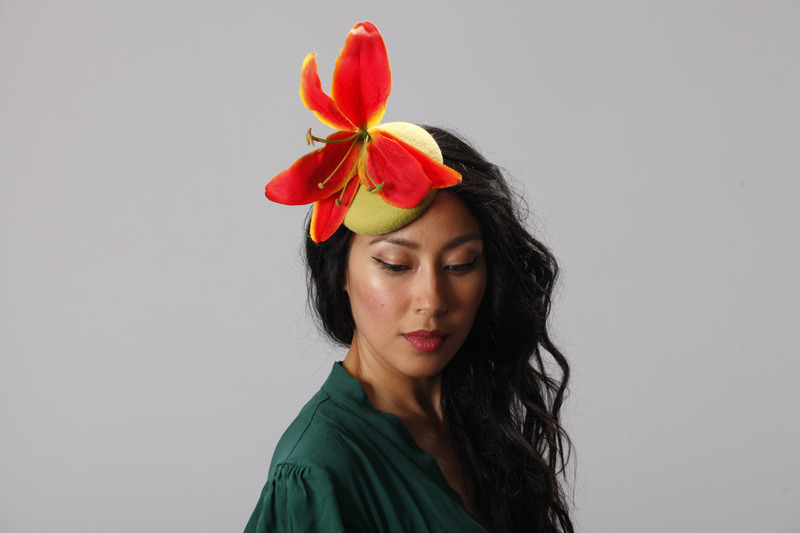 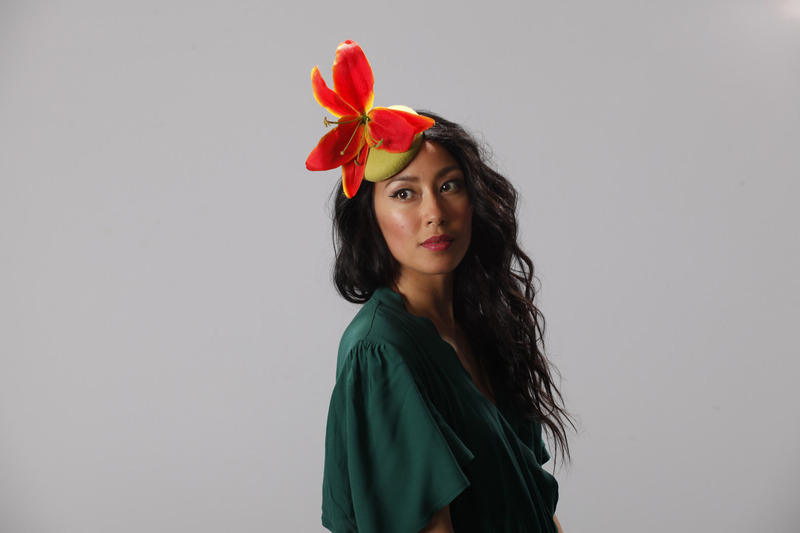 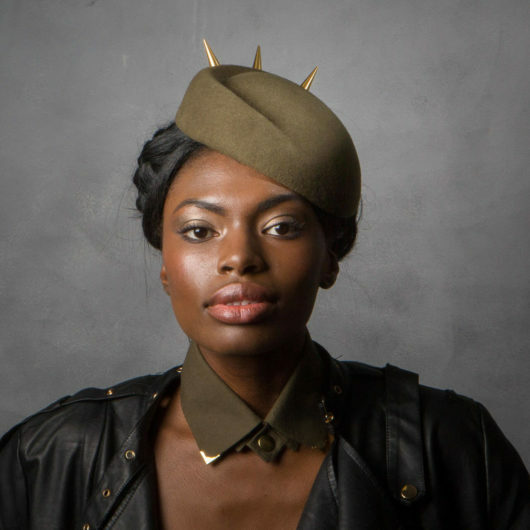 Small felt ‘button’ hat which packs a punch with it’s fabulous tropics inspired colours. 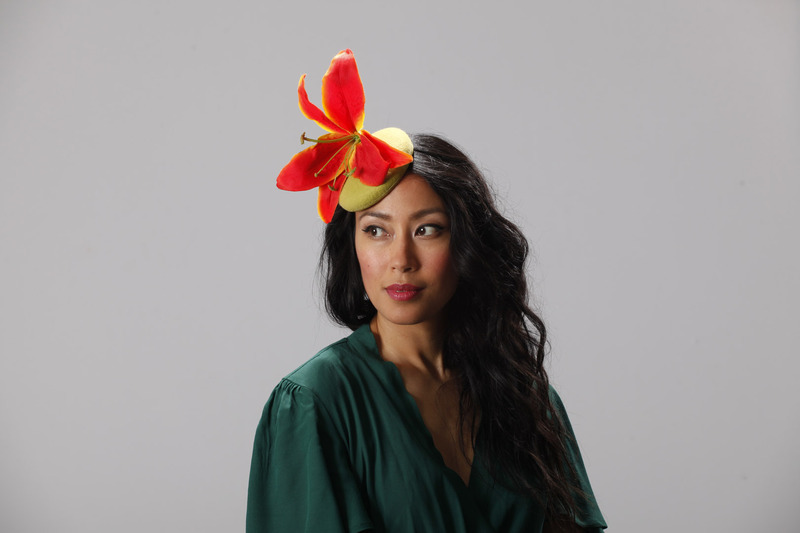 Lime Green base with oversized in lily in oranges, reds and coral tones. 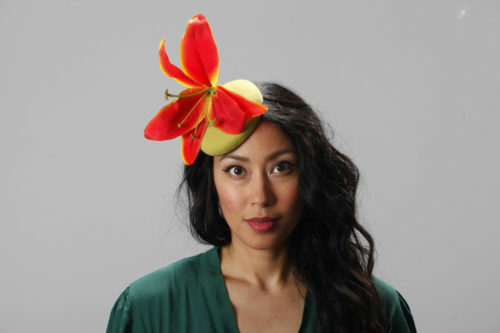 Pair with any colours in the red / orange / yellows / corals, or any green. 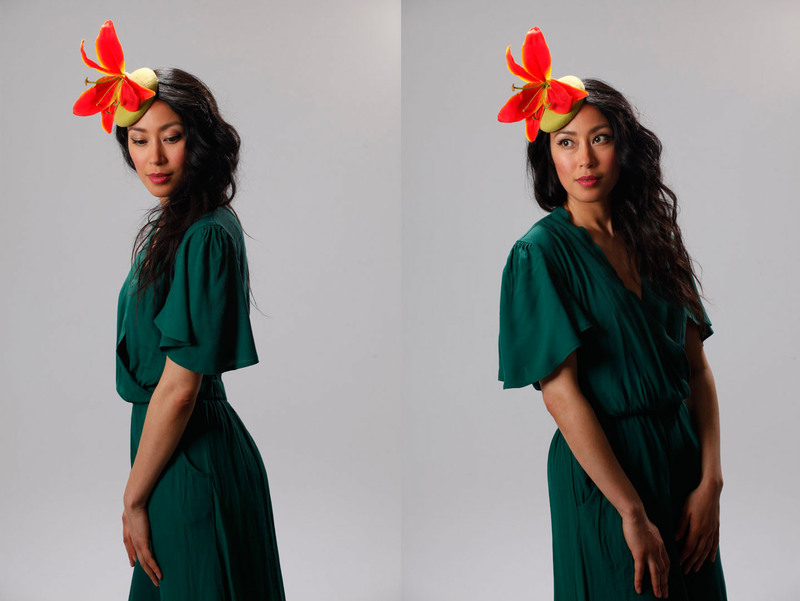 Take it up a notch in wildness with a pink outfit, or down with navy blue or black. 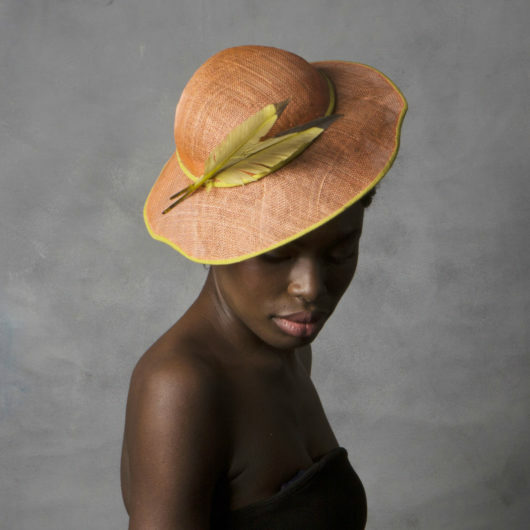 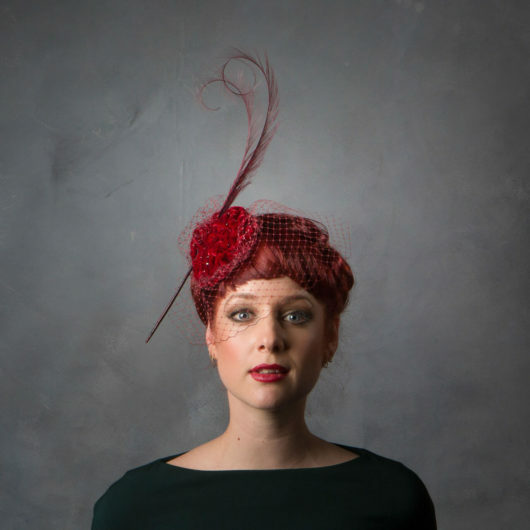 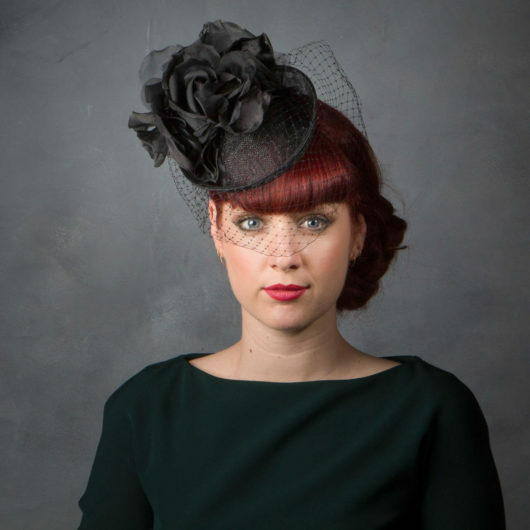 Very comfortable and held with millinery elastic.